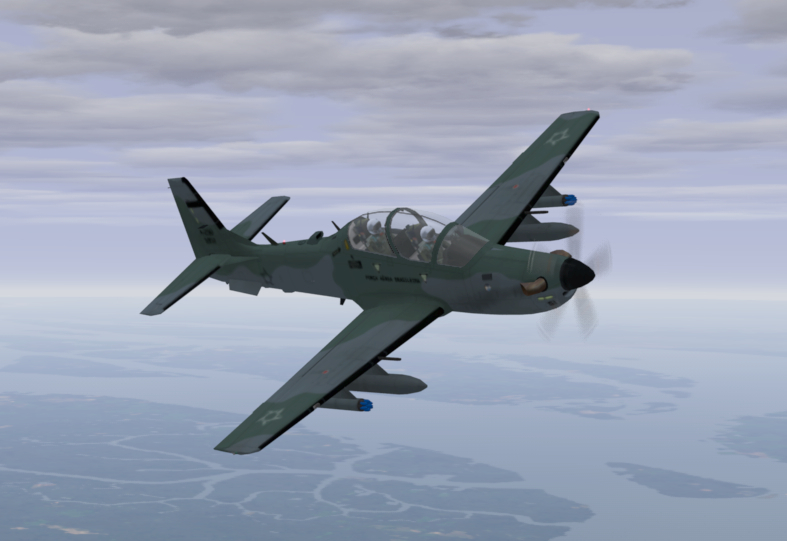 Embraer has announced a firm order for six A-29 Super Tucano light attack and training aircraft from the Philippines Air Force (PAF). The Brazilian turboprop aircraft was the only one shortlisted after it was identified last June as the sole compliant bidder for the PAF’s Close Air Support program. The unsuccessful contenders were the Aero Vodochody L-39NG jet and the Textron Beechcraft AT-6 turboprop. Local reports estimate the deal to be worth 4.9 billion pesos ($97.4 million). Deliveries will begin in 2019, making the PAF the second Super Tucano operator in Asia, after the Indonesian Air Force. The PAF’s 15th Strike Wing will fly the aircraft, which will replace the PAF’s Rockwell OV-10B Broncos. They have been providing aerial support in the government’s re-taking of Marawi city on the southern island of Mindanao, which was occupied by Muslim extremists for six months until October this year. “The contract includes initial logistics support as well as the set-up of a training system for pilots and mechanics,” said an Embraer spokesman. He added that Asia-Pacific is “a promising market” for the Super Tucano.